Breakaway in collaboration with Jaypore presents Jaypore Journeys. We begin in Kutch, a cultural kaleidoscope like no other. The 7 days guided journey offers the opportunity to get exposed to the crafts and meet artisans and influencers who are driving the local communities to produce globally desired textiles and artwork. A textile designer will further enhance this rich cultural experience through a layer of educated facilitation. 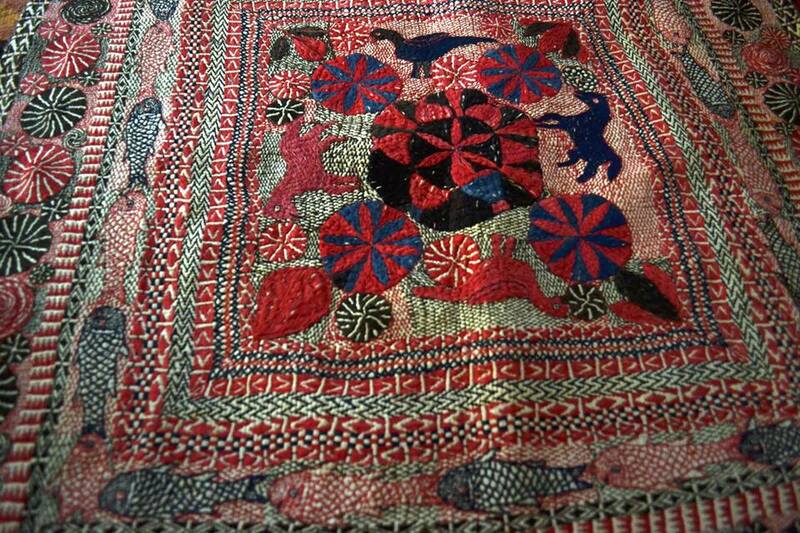 Our journey begins in Ahmedabad where time-honored textiles chronicle periods in cultural history at the Calico Museum. Later, local bazaars and popup flea markets offer the opportunity to be acquainted with local wares as well as the local language, Gujarati. A visit to an award winning Pachedi artist reinforces the influence of religion in arts. An authentic Gujarati dinner in a traditional setting makes for a great gastronomic introduction to the region. Onwards to Bhuj, the commercial capital of the Kutch region, the difference in topography is drastic. A visit to neighboring towns Ajrakhpur and Dhamadka reveal the ancient crafts of Ajrakh and Bandhani where renowned master craftsperson of the Khatri clan will narrate effortlessly the most complex and detailed process of natural dyed Ajrakh. Time permitting, there will be an opportunity to dabble in handblock-printing. There will be plenty of time to relish the local cuisine. While it sounds vaguely similar to more widely known Gujarati dishes, the taste is far from familiar. Odo, bajre jo rotlo, kadhi are some of the many delicacies worth devouring. In the heart of Kutch, Bhujodi welcomes us with the clacking of pit looms and shuttle looms and a legendary family of weavers will share with us the basics of the art of weaving. Sweet cups of tea and conversations allow for a peek into the warm nature and simple life of the local rabari tribeswomen. Mud homes decorated with lipankaam and innocent smiles of little bystanders urge you to stay a bit longer. While in Kutch, it is imperative to acknowledge the work of some powerful women who have made significant contributions to the region’s socio-economic growth. We visit these grassroot enterprises effectively run by craftswomen, where through organized education, the younger generations are learning local embroideries and putting the region on the world map through their work. A fascinating experience from start to finish, bundled with comfortable, state of the art accommodation, delectable local cuisine, passionate well-informed hosts and like minded company, this will be a trip to remember. Please contact journeys@jaypore.com or bindu@break-away.in for questions or to reserve your spot.